Microsoft has deprecated Disk Cleanup utility now. Here's how to use the substitute Storage sense to automatically free up space in Windows 10. With this notification, you’re recommended to use Storage sense feature as the substitute of Disk Cleanup utility. Storage sense feature is available on Windows 10 V1703 or later. With Storage sense, your Windows 10 can automatically free up disk space, when you’re low on it. 2. In the Settings app, navigate to System > Storage. 3. Moving on, under Storage, you’ll find the Storage sense section. You can turn On this feature to let Windows 10 automatically manage space and free up space when you’re low on it. Click Change how we free up space automatically link there to configure the feature. 4. On next screen, choose when Windows should run Storage sense. 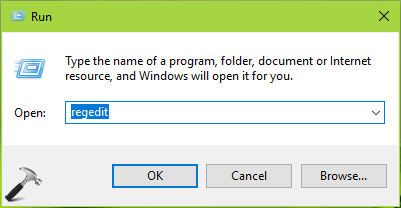 You can enable/disable whether Windows should delete temporary files which apps are no longer using. Here, you can configure the frequency with which Windows cleanup Recycle Bin. 5. Moving on, on the same screen, under Free up space now, click Clean now to clear unnecessary files and free up disk space on the machine. 6. When cleanup is done, Windows will notify how much space it make free and usable for you. So this is how you can configure and use Storage sense on Windows 10. Now let us see how to enable this feature via registry. 4. Finally, set the Value data to 1 and click OK. This should enable Storage sense to run automatically to free up space on your Windows 10, when you’re low on it. Close Registry Editor and reboot to make changes effective. Also check: How to disable Storage Sense in Windows 10 using Group Policy.